A Important Note Concerning Cabal Fang WODs | Robert Mitchell Jr. This was one of the easy #CABALFANG #WOD workouts. Some of them are way harder. The purpose of the Cabal Fang WODs is to provide martial artists with supplemental solo workouts that broaden martial horizons, promote functional fitness, and break up the monotony. This is why Cabal Fang WODs contain meditation exercises, non self-defense oriented martial arts drills and exercises, running, biking, walking, hiking, eccentric weight exercises, traditional weightlifting routines, jumping rope, and so on. This is also why they are sometimes really easy, other times really hard, and everything in between. 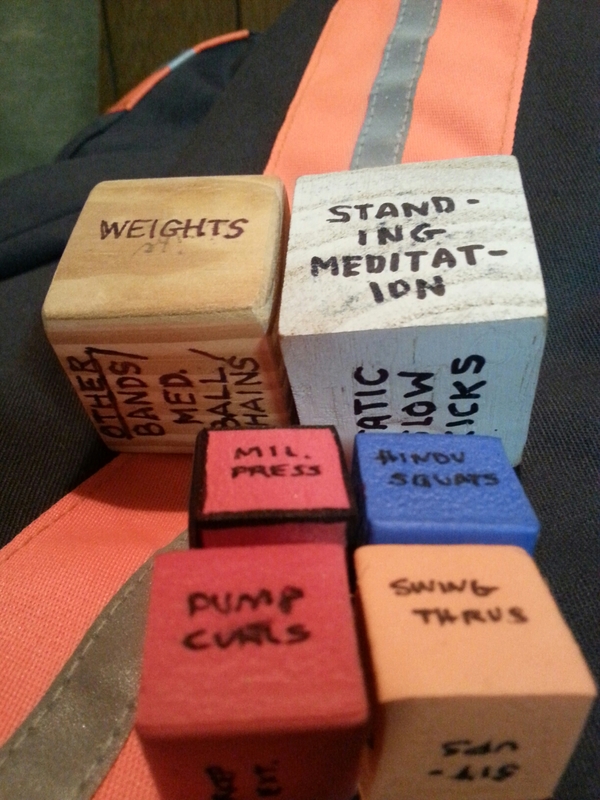 You will also notice that many of these workouts feature PTDICE, which can purchase here. *If you are a student of Cabal Fang (or any other martial art for that matter) you should be working out with your group 2 or 3 times per week for about 90 minutes, of which approximately 50 minutes should be spent on practical, self-defense-oriented martial training and another 20 on a intense calisthenics (a “Constitutional” in Cabal Fang terminology). The other 20 are for warm-up, cool-down, and stretch. This entry was posted in Martial arts and tagged cabal fang, ptdice, WOD. Bookmark the permalink.